I can tell you that I’m pretty surprised at this album. I just figured this band wrote throwaway funk/disco tunes along the lines of “Car Wash” and “Jungle Boogie” that I would just tap my foot to and then wish that it would get out of my head already. I guess when I heard the first track of the album, “Help Somebody,” it was really weird and along the lines of jazz fusion, it really threw me off guard! To be fair, this band did become one of the centers of the disco movement. But this is their first album, and it’s solid. 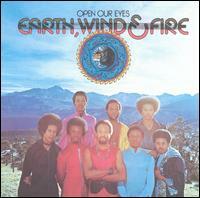 Was Earth Wind and Fire merely a commercially oriented band out to make a buck on the pop charts? They weren’t. At first anyway. (I haven’t listened to any of their later stuff yet.) There’s plenty to enjoy here in terms of rich melodies, groovy beats, and dedicated vocal performances. 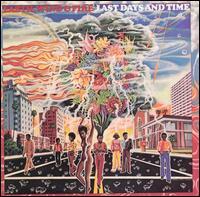 The second song of the album, “Moment of Truth,” however, is a more straight-ahead funk song and “Love is Life” is an utterly sincere (but normal, for the most part) ballad. The songs that come after are pretty strange in a way, but not necessarily great songs. “Fan the Fire” has an interesting start, but it doesn’t take off like it seems it should (I guess they weren’t waving hard enough). “C’mon Children” and “The World Today” have their strange elements to them, but I don’t think they were quite as inspired as they might have. The final track of the album, however, is an unexpected treat to anyone who values artistic music. It’s a strange cross between funk music, world music and avant garde. I’m afraid that I can’t be too effective at describing it to you. I’d recommend that you at least hear that song. It’s very interesting! God, this band is weird. Since I reviewed their eponymous debut album, I did sample a bit of their greatest hits album. Their hits like “Let’s Groove” and “September” are kind of odd in a way although clearly bred for the disco floor. 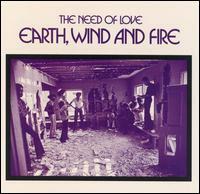 Well The Need of Love is an album of five lengthy art-rock songs. This album is even “artsier” than their debut album, but less compelling in my opinion. You see, that album had a certain SPARK that this album seems to lack. That's no matter. Both albums are quite awesome! Nothing on this album ever seemed to dare topping such tracks as “Help Somebody” or “Bad Tune.” But they seem to be exploring the jazz-fusion side of their musical influences. Nearly every song is peppered with a jazzy solo or some jazzy horns. ... It's weird to also note, while listening to this, that they'll eventually evolve into a popular disco group! “Energy” is arguably the standout track on this album, but that might only be because it’s the first song, and it’s nine minutes long. The beginning is goofy and avant-garde. And it’s not really inspired. But there’s nothing about The Need of Love that is poorly done. There’s always something weird, a good instrumental solo or a nice tune to keep things 100 percent enjoyable. “Beauty” is the only song that seems kind of weak. But even then, the song is performed well, and it has a nice flow. They are really getting serious, though. There’s no more of that goofy avant-garde stuff that we saw at the beginning of The Need of Love nor is there anything as bizarre as “Bad Tune” from their debut album. The sound is tight, polished and even schmaltzy. Despite doing all of this at the expense of artistic innovation, this album wasn’t much of a commercial success. Well, they’ll try again, surely! White didn’t give up his artistic musings, fortunately. The first three songs sound like they wanted desperately to be radio hits. They’re all perfectly likable songs (my particular favorite of them is easily “Make it With You,” which must be a soft-rock masterpiece). It’s the fourth track, “Power,” where they go at it with some African-sounding xylophone and a REALLY REALLY GREAT SAX SOLO. So, naturally, that’s my favorite song. But the song that follows is completely awesome, too. “Remember the Children” has iffy lyrics, but it’s completely rollicking with creative and fantastic instrumentation! The singing sounds exactly like Stevie Wonder, and it’s not exactly worse than that guy’s chops. The closing track “Mom” is smooth R&B at its best. You’ve got to hear this band … their sound is as polished as hell, but they can be really innovative sometimes. My general complaints about this album is their unfortunate choice to start sounding so dang schmaltzy. They overcome this most of the time by actually coming up with compelling music, but … this does give the album its distinct, dated ‘70s feel, which I’m sure will put off many listeners. I do feel that this is worth listening to regardless. Another complaint is one track that just doesn’t cut it. It’s a curious cover of Pete Seeger’s “Where Have All the Flowers Gone.” Despite that originally being a minimalist folk song, it’s the schmaltziest song of the album. The band didn’t even seem to give it the care they gave the other songs, and the vocals are annoying. Maybe they were just trying to fill the album. Who knows? This group is usually good for a couple great melodies with a slew of weird but appealing ideas thrown in for good measure. This album seems like they were aiming straight for a commercial pop-hit. There's nothing wrong with that, but it's pretty disappointing considering this band had previously come up with so many weird and delightful ideas in their previous albums. The first five tracks of this work are the pop tunes. They're all straight-forward and merely OK. The melodies are decent and the instrumentation is quite solid. That's it. There's nothing else to report about them. But for good measure, they have a 13-minute jazz-fusion song called "Zanzibar," which provides quite a bit of entertainment. 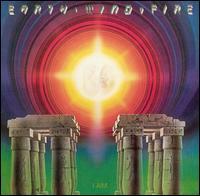 It's more poppy and accessible than what you'd get from a real jazz fusion group like the Mahavishnu Orchestra, but Earth, Wind & Fire do the genre justice. Easily, this is the highlight of the album. As far as jazz-fusion goes, it doesn't make me want to flip up out of my seat and pretend to air guitar with it, but it's perfectly enjoyable. Just the same, I know this group is capable of *awesome*, so how can I be excited about merely *enjoyable*? So in the end I'm just not impressed. It's an above average album compared to every album that's ever been released, but I consider this to be an extraordinary band. Clearly, they're playing below their level. Maybe they were trying to dumb everything down to appeal to the common folks --- that's a plausible theory. But they forget that the common folks like *awesome* too --- every once in awhile. However, this album deserves a respectable rating because ... well ... it's respectable. But respectable will only make you want to sit through it, respect it, and then turn it off and never hear it again. 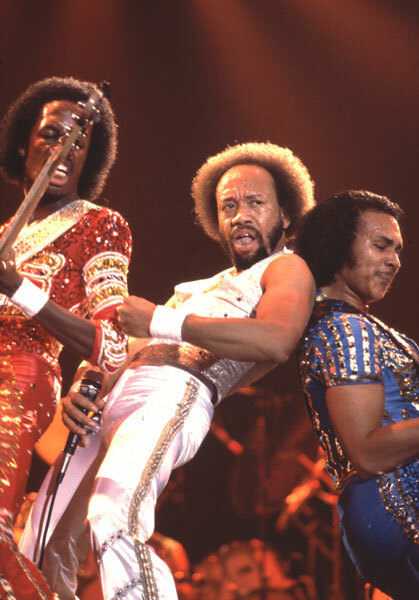 Perhaps what's most interesting about Earth, Wind & Fire in the historical sense is that, although they acheived popularity in their day, they were far more popular by the time of the '70s pop culture revival of the '90s (much more compared to their counterparts). This suggests, to me, one extremely important quality of Earth, Wind & Fire: Their music is much more timeless than their contemporaries. And, it's true. They're also much more artistically daring and innovative than most others in the funk genre. It's interesting to note that it's obvious this group desires commercial success, but at this point anyway, they ademently refuse to release 100 percent normal songs. Sure, there's the funk song "Mighty Mighty" that sounds bred for the radio and a few straight-ahead ballads "Devotion" and "Open Our Eyes." But they also insert some more weirdo songs. "Fair But So Uncool" has a distinctly original groove. "The Drum Song," one of the album's best in my opinion, features an African xylophone, which bandleader Maurice White has used in all of his albums this far in the discography. It's like his signature! "Spasmodic Movements" is a jazz fusion instrumental and "Caribou" is a choral work that sounds like it was destined to be released in 1964 in the post-jazz era except it was done with a weird twist. One thing you cannot accuse this album of being is non-diverse! Although some of these songs don't sound as fresh, exciting or tuneful as I would have liked from a pop album, they don't repeat themselves much. This is a quality of an album that I'm always happy to see! They don't want to pigeonhole themselves so much in one type of genre, and this means the album isn't so boring. 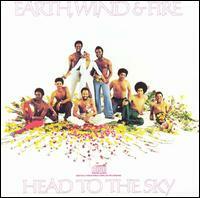 That said, most styles attempted in this album are also attempted in prevous Earth, Wind & Fire albums, and it sounded fresher in those albums. Don't think of this as a soundtrack album. These are all pop songs. I'm sure the film (which I haven't seen) has incidental music done by a professional in that field. But those are not included here. Listening to this album cold turkey, you wouldn't have guessed that it's a soundtrack. Anyway, this is an excellent pop album! This is another case where there's a critical and popular consensus. That's the Way of the World was their best selling album by far (it hit the No. 1 spot on the Billboard Pop and R&B charts), and it's also their first album since their self-titled debut that's totally solid in the artistic sense. Never before have we seen such well-crafted songs all with good melodies. Granted, this isn't artistically innovative as that debut. But, it's certainly TONS more innovative than the average Barry White album. There is so much material in this album! The original pressing of it only contained eight songs. The rest are bonus tracks graciously added on by the studio. One of these bonus tracks is the full pop version of "Shining Star," this group's only No. 1 hit single. Although this song was certainly well received when it was originally released, it also achieved considerable success in the '90s during the '70s revival period. Accoding to wikipedia.org, this song was more popular in the '90s than the '70s. I didn't exist in the '70s and I wasn't paying attention in the '90s, so I don't remember hearing this song at all. I do know, however, that it's an excellent funk tune! It has all the right elements. It has a danceable groove, solid instrument playing, a catchy melody and a memorable chorus. I'm going to be deviant, however, and call "Africano" the best song from the album. (Oooo, I'm naughty.) The song starts out strangely (which I like) but then it turns into an instrumental with a funk groove that's desparately needed-to-be-danced-to. What's more, it is an awesome combination between disco and jazz fusion, which probably doesn't occur too much. The saxophone work is excellent! Another notable track from this album is "That's the Way of the World," because it was the album's second hit. It didn't quite do as well as the other, because it only reach No. 12 on the charts. That said, this was the group's second most successful song at the time. 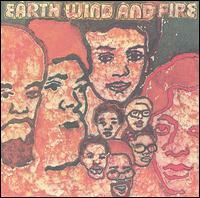 Fresh off the heels of their commercial breakthrough, That's the Way of the World, Earth, Wind & Fire make this decent album. In a way it suffers from their fame --- of course, there's always the pressure to make another album after a huge hit that the public will gladly gobble up! Fortunately, Earth, Wind & Fire don't succumb to the pressure to make an album full of semi-inspired but derivative disco hits. Spirit proves these guys still had dire interest in composing and creativity. That's a nice thing!! And this album is definitely off on the perfect start --- an even more explosive start when you compare it to That's the Way of the World. "Getaway" is a perfect song --- with heavy jazz undertones and a complex but catchy melody, it doesn't get much better than that. Or does it? Its follow-up, "On Your Face," is a hugely enjoyable track --- it's modest, catchy and a pure treat from beginning to finish. They deliver a thunderous and celebratory funk-fest in the penultimate "Biyo" --- That's the one track in which these instrumentalists get to rock out and come up with some inspired soloing. They close the album with a beautiful "Burning Bush" although that manages to strikes me as a monumental lost opportunity. I love what they had there, but it seemed like they ought to have ended it on a pumped up, glorious mood instead of just fizzling it out at the end like they did. Oh well--- This isn't a perfect album anyway!! Overall, I'm happy to report that these guys aren't complacent now that they reached commercial success. This album has its mighty moments, but it's marred too much by their relatively uninspired tracks. 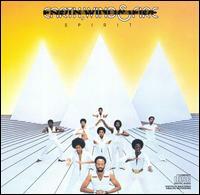 In return, Spirit ends up being one of this band's worst albums to this point based on their pretty high standards. This is an excellent album, but it frustrated me so freaking much. I'm generally a very calm kid, and it takes a lot to aggravate me. I mean, I sat through Madonna's Erotica a half-dozen times or so, and I'm still alive, so I have some credentials! ... 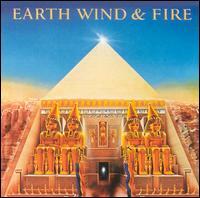 So, if I say Earth, Wind & Fire managed to tick me off, then I think you'd better sit up and pay attention to what it was. OK, imagine you're listening to a perfectly great song. It has a brilliant or near-brilliant introduction that piques your interest and get you juiced up for the main body of the song. The main body meets or exceeds your expectations; it has a great, toe-tapping groove, catchy melody and flawless instrumentation. The song has what appears to be an ending. They find some unusual horn squeal or loop, and they fade it out. Alright! That was a good song! You ready yourself to hear the next track, when all of the sudden, the main groove of the last song suddenly pops up again! It catches you off guard, and you wonder why on earth they decided to end the song earlier if they weren't quite ready to actually end it. Bahhhhhh! Being the optimist you are, you listen intently. Maybe they'll do something interesting! You notice the groove is completely unchanged from its original incarnation. It goes on for a bit, and then they fade it out. Track over. “Magic Mind” is a wonderful song with such a fun, funky beat and a catchy melody ... exactly the sort of '70s funk stuff that you'd actually *want* to listen to. It's far from that trashy disco stuff... 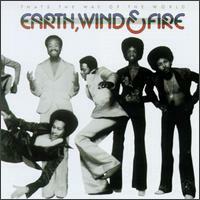 I mean, these guys had class right from the beginning and they kept it going very strong through the disco era. I'm tapping my feet and enjoying those intricate horn arrangements. The lyrics even feature some fun wordplay! And to end the thing, they find a rather artsy, off-kilter horn arrangement to fade it out with. This is an example of a good fade out. One that actually lends a new dimension to the piece! But when the main groove pops up again, it just spoils the whole thing! Now, none of that negated the fact that I enjoyed listening to the song, but my final impression of the song has been tarnished forever. The real tragedy is the funk-jazz-fusion instrumental “Runnin'” which clearly is up there with the best that this band has ever done. I'd even call it, without a moment's hesitation, one the best songs that has ever been done in this genre. It even won a Grammy award! (Actually, I'm more impressed with the Grammies themselves for that... once upon a time, it seems, that organization had taste!) The middle section is really weird, with some on-crack Latin rhythm and surely one of the finest horn solos in the history of rock music. (If you value your life, you should hear that solo at least once. You might not think it's amazing as I do, but then again you're not as cool as I am.) The ending they have for it is the most brilliant thing they've ever done. That crazy horn solo sort of fades out and we hear a number of sound effects and what I suppose is street conversation. It's weird, unexpected and it worked beautifully! A great ending!!! BUT THE FREAKING GROOVE COMES UP AGAIN AND THEY FADE IT OUT LIKE LITTLE WUSSIES!! HOLY FREAKING COW!!!! “Fantasy” is a near-brilliant ballad with such a sweet melody! But they do seem to repeat the melody a lot, and it loses its magic as by the end. “I'll Write a Song For You” is also a near-brilliant ballad. It develops the best of any of these songs, luckily! I love the beginning and middle, but I just don't care what they were doing for the final third. It's nowhere nearly as melodic, and Maurice White's singing seemed to have been reduced to ear-piercing, falsetto wolf calls. The whole album ends with a very weak ballad, “Be Ever Wonderful.” It's nothin' good. I am not kidding when I say that All 'N All is a very good album melodically, harmonically, and the instrumentation is first-rate. For those reasons, I will never deny this album a proper score on the high-end of the spectrum. But in the end, even the most brilliant of these songs seemed to drop the ball in the end. And that's just a whopping huge pity. If you read my review of their previous album, All 'N All, then you know that I'm utterly relieved that Earth, Wind & Fire have learned their lesson about those clumsy development issues. However, I am not too thrilled about the direction the band seemed to take with this release. Their wild creativity seems to have been oppressed a little bit in order to deliver a product more centered on commercialism. ... Granted, it's a pretty dang good commercial album, but these guys' creative knack seems to have been replaced with semi-inspired dance grooves for the disco audience. I don't concur!! But at least, the disco crowd got quite a bang for their buck. “Boogie Wonderland,” for instance, will threaten to get even the most hardened of personalities to boogie their wonderland. That groove isn't anything particularly special, but the way these guys perform it is excellent. The instrumentals are incredibly tight, and there are many intricate textures for you to pick up if you care to study it with headphones. It's clear they worked their booty off for it! ... But the clear purpose of the song was to capitalize on the disco craze. And despite the intricate textures, it is the same groove playing without changing its overall structure. I want those weird diversions and funny instruments! I don't want disco dance, as above average as it is!!! I'm also afraid that you'll most likely forget about it after the next song pops up. It's fun to hear, but it's not terribly infectious. OK, OK, I know the world needed disco music, and it did its job very well. The closest thing they have to their old creativity, probably, is “Star.” That has some interesting rhythms and an odd, overall structure. I like listening to it, of course, and it's infectiously toe-tapping, but for some reason I just can't get myself fully into it. The melody isn't the best thing they ever came up with... although the idea of basing a song on a nursery rhyme was a cute idea. My favorite song of the album, “Let Your Feelings Show,” might be one of its least well-known, and I think the only reason I like it is because that tight funk groove reminds me of the Talking Heads. Naturally, it's not weird at all... I like hearing all those rapid funk guitars! I want to be buried in them! It doesn't have a particularly notable melody, but I don't really care, because I'm too busy dancing my nerdy bottom off. The album's first track, “In the Stone,” had a nice introduction. It reminds me of the opening theme for a '70s morning news program or something, but it's actually not bad. In fact, I became just a bit disappointed that the rest of the song turned out to be a fairly ordinary, mid-tempo funk song. But of course, it's still fun to listen to, and that melody is awesome. For some weird reason, they have about a 30-second sequence tacked onto the end of it --- it's a really weird groove consisting partly of their trademark African thumb piano. I really wish they would have expanded upon that, because that 30 seconds is the most interesting thing on the whole album! What a betrayal!! “Can't Let Go” is an excellent dance song, and of course it was great enough to warrant a high song rating. But that's another example of the album's big problems. The first minute of it is easily the best, and it loses some of its stamina by the end. Sure, nobody wants the cool groove to end too quickly when they're shaking around in their leisure suits! But I can think of songs with more dancing floor staying-power than that one. Again, it's excellent for dance music, but they never should have compromised their creativity. ...I know what you're thinking. This album has a lot of disco dance songs, but I haven't yet mentioned of a slow dance. Fear not, there is “After the Love is Gone.” That song has a very good melody and very smooth instrumentation. I'm sure it'll be a big hit on the dance floor. But again, it's too straitlaced. Woeful! I guess I shouldn't complain that much. Really this album is very good despite my negative words. It's better than some of their previous albums that I have deem more creative. The melodies are usually pretty catchy and I like the grooves they come up with. If you all you want out of music is to have a good disco dance, then I Am is a perfect pick for your collection. When it's all said and done, there is only one song that isn't up to par on these standards, and that is a ballad called “Wait.” There isn't anything particularly wrong with it other than it never catches fire. So, don't let my relatively negative words put you off I Am. I just wrote this on the point of view that I was dribbling over their panache for creative brilliance in their back catalogue.